Michael Card is an American Christian singer-songwriter, musician, author, and radio host from Franklin, Tennessee. 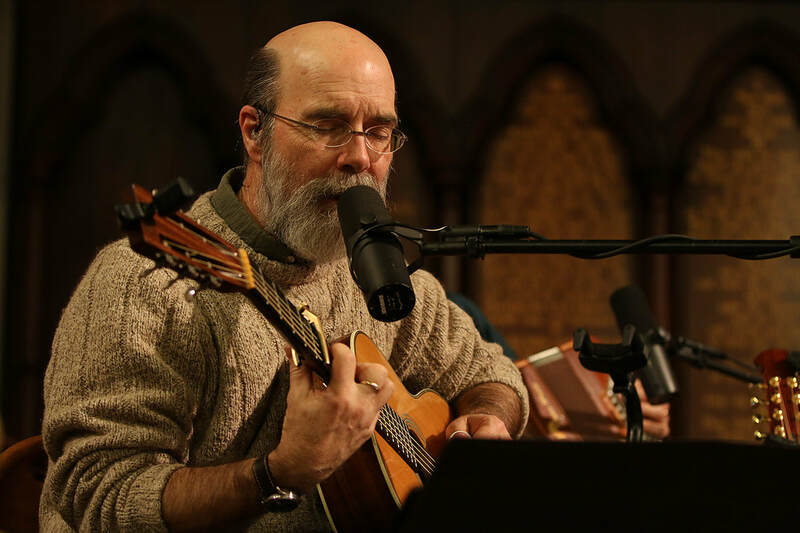 His contemporary Christian music couples folk-style melodies and instrumentation with lyrics that stem from intensive study of the Bible. In a career that took off with his debut album, First Light (1981), Michael Card has recorded over 37 albums, authored over 27 books, hosted a radio program, and written for a wide range of magazines. While he has penned such favorites as “El Shaddai”, “Love Crucified Arose”, and “Immanuel,” He never imagined writing over 19 #1 hits. The popularity of his work seemed a stark contrast to his goal in life, to simply and quietly teach the Bible. In everything he does, Card seeks to encourage his audience to join in his own journey to know and be known by God by asking questions and entering into meaningful discussion with one another. Card’s vision is to edify the body of Christ around the world by sharing experiences and resources in the context of community in order to help facilitate the growth of smaller and more intimate communities within his audience’s own churches and neighborhoods.